Product #16268 | SKU MO-BLADE | 0.0 (no ratings yet) Thanks for your rating! 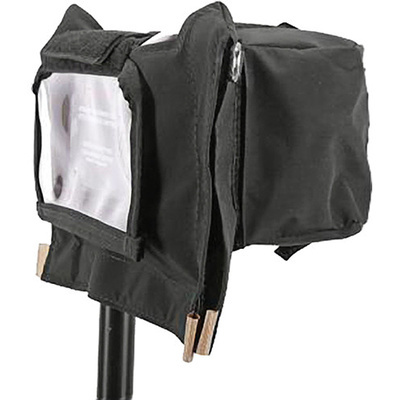 Use your Atomos Ninja or Samurai Blade recorder in inclement weather conditions by enclosing it inside this Porta Brace Rain & Dust Cover . The weather-resistant nylon exterior is breathable and has openings for access to ports and controls as well as an expandable opening for large batteries. Viewing the screen is possible thanks to a transparent vinyl material. All openings feature touch-fastener closure to ensure protection from the elements when in use.